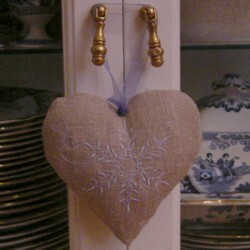 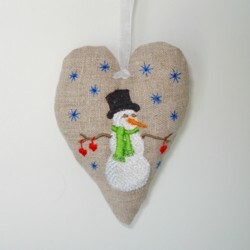 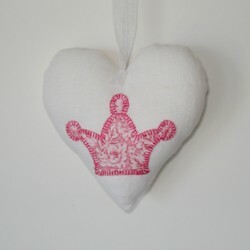 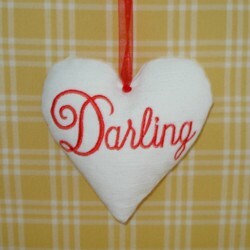 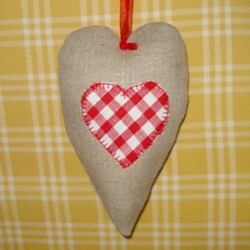 Made in the embroidery hoop - hanging heart ornaments for all occasions! 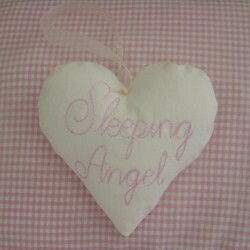 Machine embroidery designs from Needle Passion Embroidery Limited (NPE Ltd). 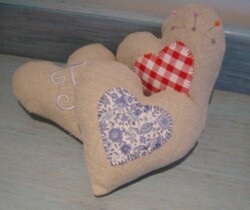 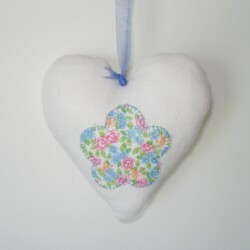 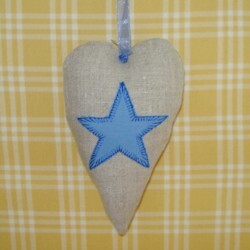 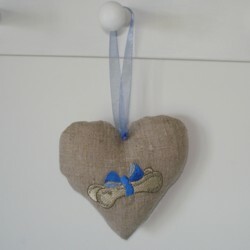 These lovely padded hearts are stitched in the machine embroidery hoop. 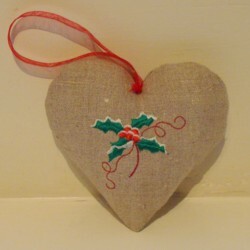 After being removed from the embroidery hoop they are trimmed close to the stitching and filled with either a fibre toy fill or lavender buds - try rice or potpourri too. 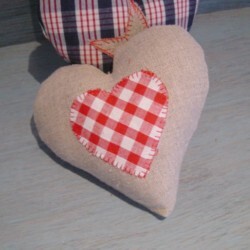 Then stitch the small opening closed and just add a ribbon or cord if required - it's as quick and simple as that! 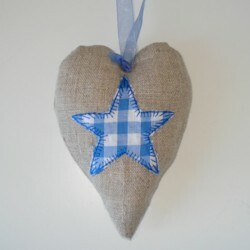 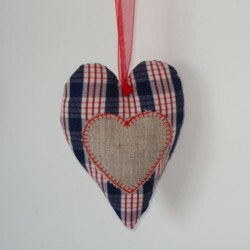 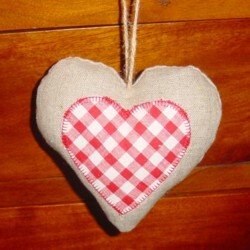 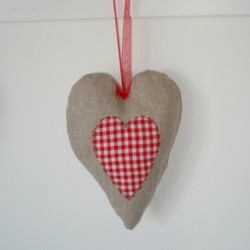 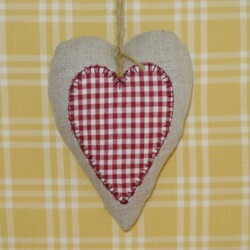 Padded hanging country style heart pillow - plain. 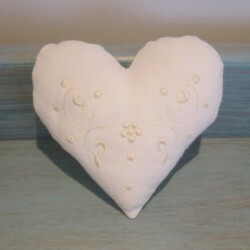 Add your own motif! 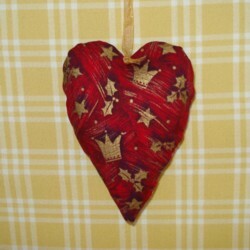 Stitches: 5266 Padded hanging heart pillow - plain. 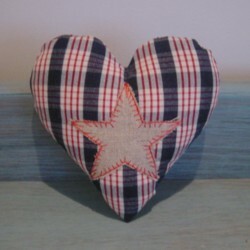 Add your own motif! 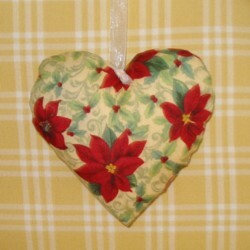 These padded heart pillow patterns for machine embroidery require a 5" by 7" embroidery area. 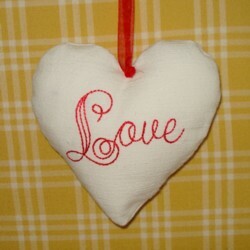 Free heart applique sample machine embroidery.